Apple has finally used the introduction of iOS 11 to make some substantial changes to iCloud, including the type of data which is synced to a user’s iCloud account. 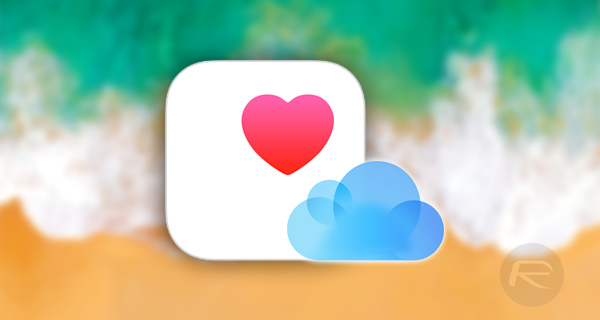 In addition to having synchronized iMessage conversations across multiple different device types, Apple has also used changes within iCloud to ensure that Health app data from HealthKit framework is backed up and synced to the iCloud service. This change is literally huge for any iPhone, iPad, or Apple Watch owner who relies on data tracked by the devices to be fed back to Apple’s Health platform. That also applies to anyone using third-party apps which take the opportunity to integrate this type of functionality via Apple’s HealthKit framework within the iOS SDK. It not only provides an instant improvement to Health data experience for users, but it’s more likely to encourage more developers and users to actually embrace everything that HealthKit is about. In previous versions of iOS, such as the currently running iOS 10, this type of synchronization of Health data wasn’t possible. If a user took advantage of Health data and wanted to back that data up to be restored onto other or new devices, then they would have previously needed to use an encrypted iTunes backup and then go through the cumbersome process of restoring via the same iTunes software. Given the sophistication of the Health data system, and the level of data that it collects and is available, it always felt like a convoluted process in need of streamlining. 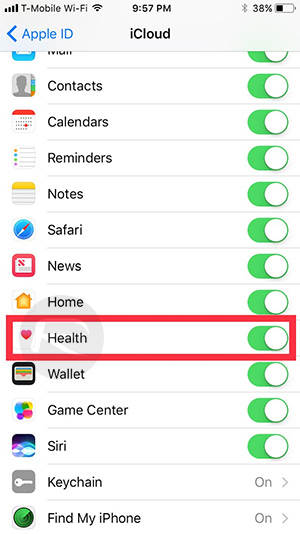 With iOS 11, Health app users can head directly into Settings > Apple ID > iCloud to get access to this new functionality. Like most iCloud toggles, the Health option will come with a simple on/off toggle that will allow users to instantly turn this feature on or off at will. When turned on, Health data will be synced to iCloud automatically and will be available across all devices signed in with the same Apple ID. When it’s turned off, the data won’t be collected and stored in iCloud. We’re expecting additional changes to become known over the next month or so as Apple continues to push out iOS 11 betas. Now they want our health data? Easy there Facebook. So happy this has been included. I plan on setting up the iPhone X as a new device, not from backup so glad this data won’t be lost!